Taylor Swift was missed at the 2019 Grammy Awards was on Sunday, February 10, but the “Delicate” songstress was busy celebrating her boyfriend, Joe Alwyn, at the British Academy of Film and Television Arts in London. Despite not being on hand for the awards show, Swift was nominated for the 2019 Grammy for Pop Vocal Album for Reputation. The honor ultimately went to Ariana Grande for her fourth studio album, Sweetener. Throughout her career, Swift has been nominated for the prize 32 times, with a total of 10 wins. 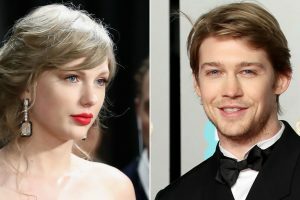 News of Swift and Alwyn’s relationship broke in May 2017, though through song she’s made nods that the pair were linked months prior. Last month, the two were spotted packing on the PDA at multiple Golden Globes afterparties. What is the Net Worth of Modern Family Actress Sarah Hyland?